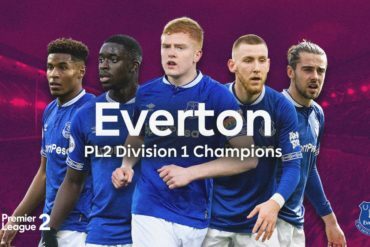 Leighton Baines scored two free-kicks, before Romelu Lukaku grabbed the winner on his debut as Everton twice came from behind to win at West Ham and remain the Premier LeagueÂ´s only unbeaten team. Ravel Morrison fortuitously gave West Ham the lead at Upton Park on 31 minutes, seeing his effort take a significant deflection off Jagielka to wrong foot Tim Howard. Leighton Baines drew Everton level on 62 minutes with the first of his sublime set-piece goals. A Mark Noble penalty looked to have secured a win for the home side with 14 minutes remaining, but the midfielder was then dismissed after picking up a second yellow card and Baines fired in the resulting free-kick before debutant Romelu Lukaku headed home the winner. Roberto Martinez opted to start with the same eleven that beat Chelsea 1-0, with Romelu Lukaku settling for a place on the bench. 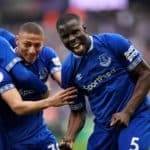 West Ham started the better of the two teams, nullifying Everton and imposing themselves on the game with some good percentage football early on, but it was Everton who created the only significant moment of the opening half hour. 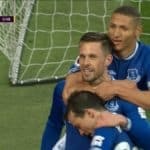 Ross Barkley provided a well-weighted pass to Kevin Mirallas, who cut inside from the left to unleash a powerful effort that Jussi Jaaskelainen palmed away. 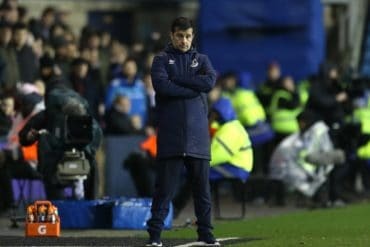 West Ham had gone more than five hours of top-flight football without finding the target before edging ahead on 31 minutes when Matthew Jarvis cut inside from the left before laying the ball off to Morrison, whose effort was taken past Tim Howard thanks to a big deflection off Phil Jagielka. 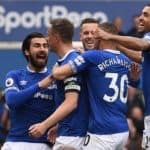 Lukaku came on for his Everton bow as part of a double change at the interval, alongside James McCarthy for Steven Naismith and Nikica Jelavic, and Roberto Martinez was forced to play his final card within seven minutes of the re-start as Leon Osman hobbled from the field, replaced by Bryan Oviedo. 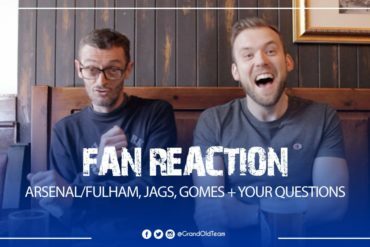 The changes revitalised Everton, and it only seemed a matter of time before an equaliser. It came just past the hour mark, with Baines crashing a magnificent, trademark 25-yard free-kick into the top corner. West Ham 1-1 Everton. Everton continued to press but against the run of play, West Ham retook the lead. James McCarthy conceded a penalty to Kevin Nolan 15 minutes from time, which Mark Noble converted. West Ham 2-1 Everton. Seven minutes later, on 83 minutes Noble was sent off with a second yellow for a cynical lunge on the rampaging Ross Barkley. From the resulting free kick, Baines once again bended another fabulous free-kick into the back of the net off the inside of the post. West Ham 2-2 Everton. And just two minutes later , Mirallas broke free down the right and crossed for Lukaku, who powered a header past Jaaskelainen. Limbs. West Ham 2-3 Everton.